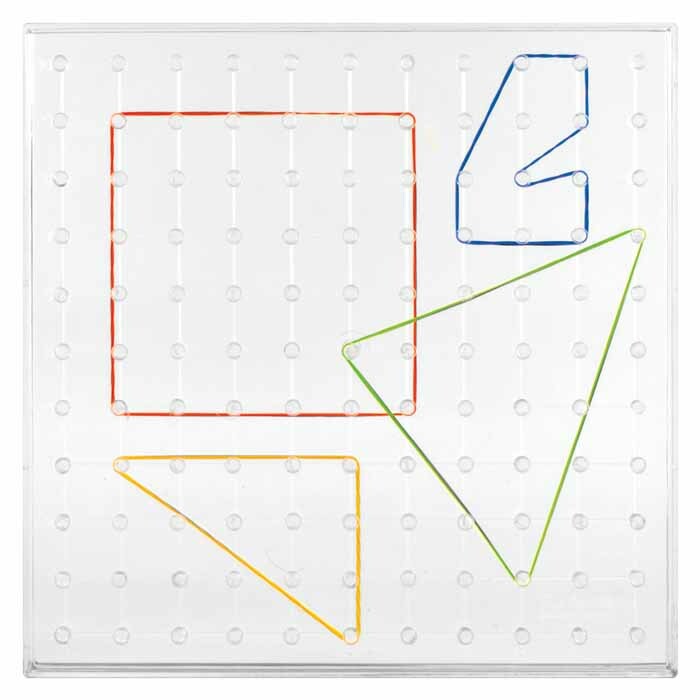 An 11x 11 grid of pegs on transparent Geoboard with rubber bands can also be used on overhead projector or to trace a polygon given in book with rubber bands. 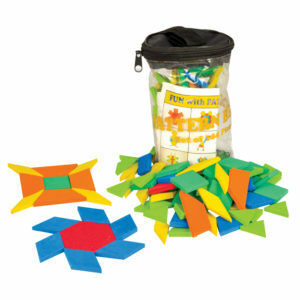 Students can have fun in exploring shapes and pattern. 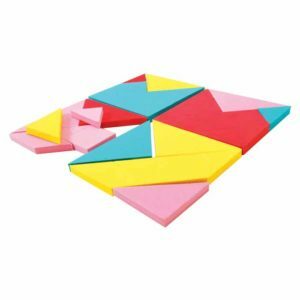 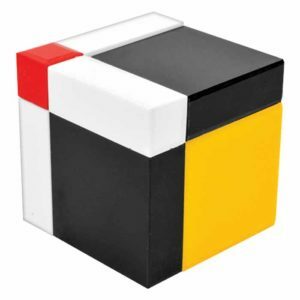 Great manipulative for teachers in teaching shapes and concepts like symmentry, angles and fraction. 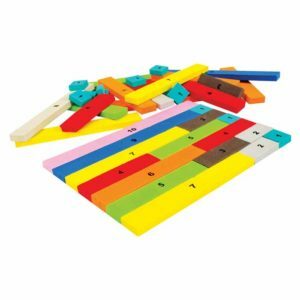 Helps in developing fine motor skills. 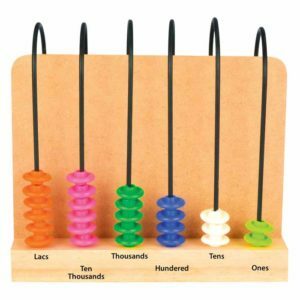 Total Elements: Set of 1 pc.